I have backtested ZIV starting from March 2004, including the impact of fees and treasury bill interest. The results for this presumably tamer inverse volatility ETN, are shown below. 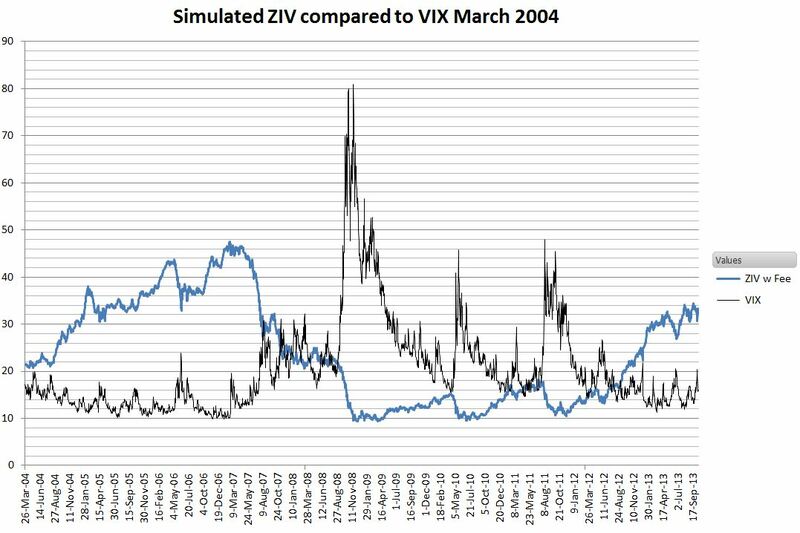 I was surprised at how volatile, and how low this hypothetical ZIV went during the recent bear market—losing 80% of its value from 2007 to 2008. ZIV appears to be a bull market only instrument and not suitable for buy and hold. For one approach to timing investments in inverse volatility see Taming Inverse Volatility with a Simple Ratio. 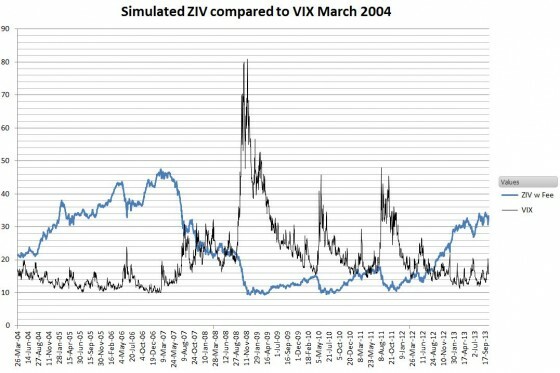 If you are interested in obtaining the full simulation results for ZIV back to 2004 see Backtests For Popular Volatility ETPs.